The night will take place on a Tuesday (April 30), when the Louvre is usually closed. The winners will stay within a specially-shaped “tent-like” bedroom under the pyramid, and will also receive a private tour of the museum when it is closed to other visitors. They will also receive an aperitif in a “living room” space in front of the celebrated Mona Lisa painting, followed by a privately-cooked dinner at the foot of the famous statue of the Venus de Milo, and an acoustic music concert in the Napoleon III halls. They will be awakened with breakfast in bed. Details of how to enter, and all the terms and conditions, are on the Airbnb website. The event description shows Mona Lisa as the host, who is described as “mysterious but...friendly”, and who sees “crowds of visitors everyday...[but] the real magic happens when the lights go out”. Anne-Laure Beatrix, deputy general administrator at the Louvre, said: “We say in the museum, how lucky we are to see it everyday, it’s the most beautiful place in the world. So this is really a crazy dream to say that you will have a chance to sleep here. It has never been done. It will be exceptional. Airbnb has previously offered similar night events in Paris, including in the city’s catacombs, the aquarium, and the celebrated department store Galeries Lafayette. 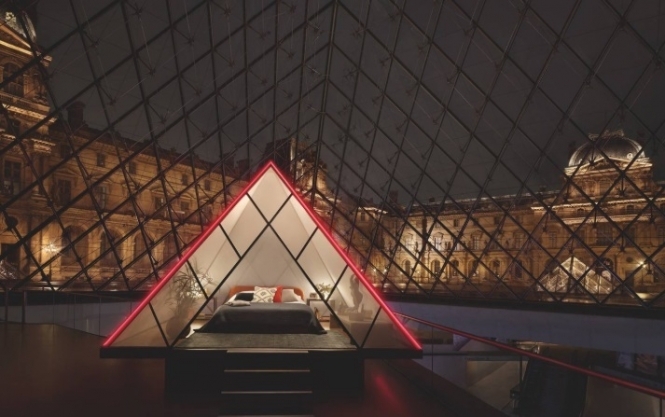 The event also coincides with 10 years of Airbnb in Paris, and is part of the series of events taking place to celebrate the 30-year anniversary of the Louvre pyramid, which was designed by architect Ieoh Ming Pei. It follows an anamorphosis art installation by French artist JR earlier this month, which also centred on the famous structure, but which became damaged just hours after opening to the public.